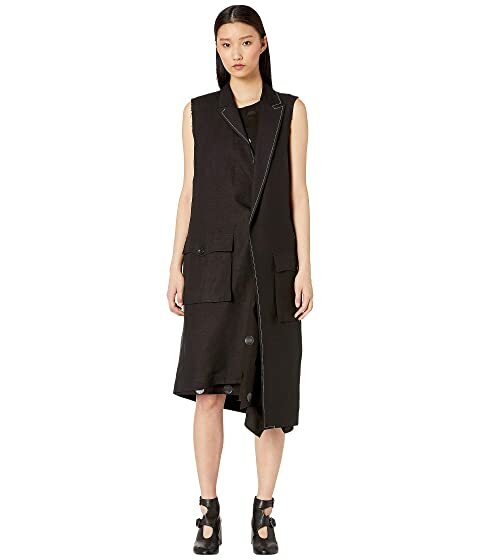 Relish in the flowing beauty of the Y's by Yohji Yamamoto™ U-2P Asymmetry Tailored Vest. Slip-on style with front ties. Front flap hand pockets with button closures. Do not wash. Steam clean. We can't currently find any similar items for the U-2P Asymmetry Tailored Vest by Y's by Yohji Yamamoto. Sorry!